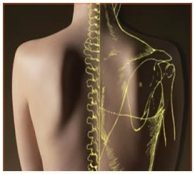 Many know osteopaths as those who “scrub” the spine, what is less known is that osteopathy also intervenes on visceral problems, such as gastroesophageal reflux, congestion of intestinal tract and many more. Hong Kong, ville propice aux allergies ? Environ 4 personnes sur 10 dans le monde souffrent d’une ou plusieurs allergies. A Hong Kong, cette proportion grimpe à 50%. Quelles en sont les raisons ? Qu’est qu’une allergie ? Devient-on allergique ou naît-on allergique ? Comment les détecter ? Comment les soigner ? Free One Hour Gut Health Seminar – There is just so much to say about this issue that causes so many symptoms like abdominal bloating, acid reflux, pain, and digestive disorders. Stress, worry, anxiety are such common Hong Kong problems. They can be helped with non-needle acupuncture. In particular, pain-free low level laser is one of the non-needle options available in our clinic. Acupuncture can help you overcome dependence on alcohol, tobacco, sugar, caffeine and other addictive substances. Our acupuncturist is offering a free Acugraph diagnostic consultation. Learn more about how acupuncture helps with addiction in our Hong Kong clinic. Teenagers face many pressures, from the changes of puberty to questions about who they are and where they fit in. Often, there’s help available that can ease the transition to adulthood.